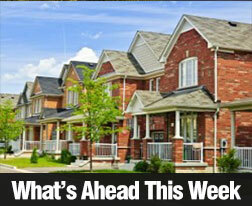 Last week’s economic news included several reports related to housing. The Case-Shiller 20-City Home Price Index for June rose to 4.50 percent as compared to May’s reading of 4.40 percent. Denver, Colorado was the only city to post double-digit year-over-year growth. FHFA also released its House Price Index for June. Home prices for properties associated with mortgages owned or backed by Fannie Mae and Freddie Mac rose at a year-over-year rate of 5.60 percent in June as compared to May’s reading of 5.70 percent. Commerce Department data revealed that new home sales increased in July to a year-over-year reading of 507,000 against expectations of 510,000 new home sales and June’s revised reading of 481,000 new homes sold. The original reading for June was 482,000 new homes sold. New home sales provided a strong indicator of recovering housing markets as July’s reading was 25 percent higher than it was one year ago. Pending home sales moved into positive territory in July after June’s reading of -1.80 percent. Pending home sales for July grew by 0.50 percent. Pending home sales are an indicator of future closings, so this is good news as the peak buying and selling season wanes. The national median home price rose to $285,900 in July, which was two percent higher year-over-year. Mortgage rates fell across the board last week. Freddie Mac reported that the average rate for a 30-year fixed rate mortgage fell by none basis points to 3.8r percent; the rate for a 15-year fixed rate mortgage also fell by nine basis points to 3.06 percent. The average rate for a 5/1 adjustable rate mortgage was four basis points lower at 2.90 percent. Discount points for fixed rate mortgages were unchanged at an average of 0.60 percent and fell from an average of 0.50 percent to 0.40 percent for 5/1 adjustable rate mortgages. Weekly jobless claims were also lower last week with 271,000 new claims filed as compared to expectations of 271,000 new claims filed and the previous week’s reading of 277,000 new claims filed. Last week’s reading was the 25th consecutive week of new jobless claims readings under the benchmark of 300,000 new claims filed; this is the longest stretch for new jobless claims under the 300,000 new claims benchmark in more than fifteen years. New jobless claims rose by 1000 new claims to a seasonally adjusted average of 272,500 according to the four-week average. Analysts note that the four week average smooths out volatility that can occur with week-to-week readings. This week’s scheduled economic reports include the Federal Reserve’s Beige Book report, ADP and the federal Non-farm Payrolls reports. The national unemployment rate will be released along with regularly scheduled reports on mortgage rates and new jobless claims.